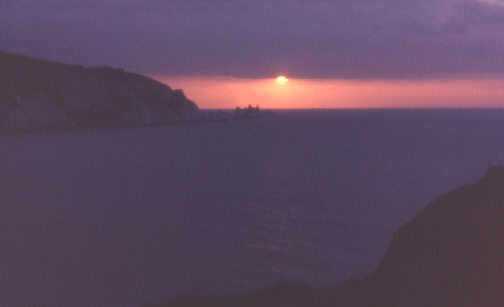 Isle of Wight Photographs: West Wight. 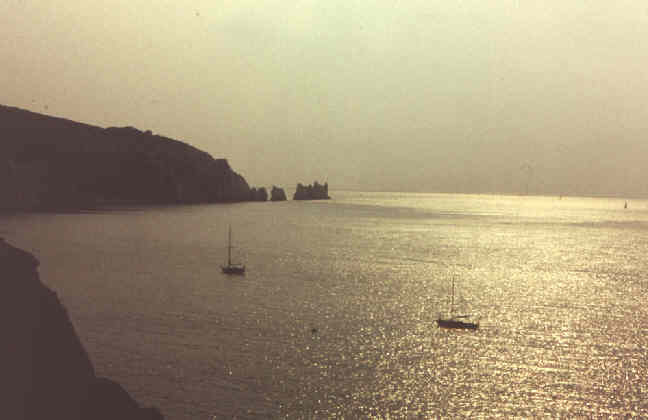 One of the seven wonders of the Island: Needles you cannot thread. 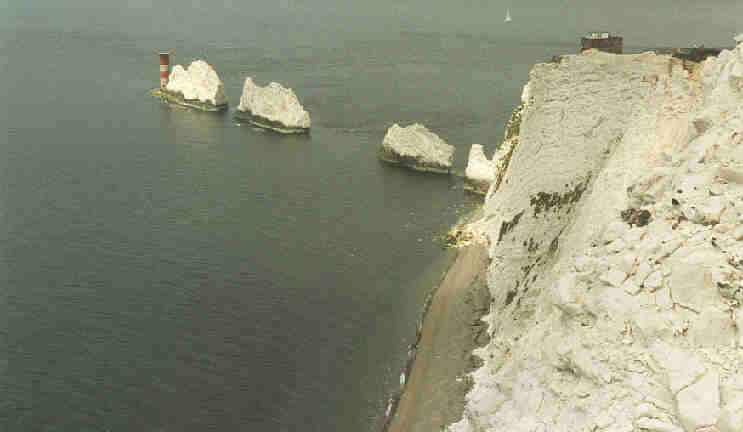 These chalk stacks are probably the best known landmark on the Island. The lighthouse is no longer manned. Until recently, the transfer of Christmas festive cheer to the lighthouse was an obligatory part of the local television news each year. The building in the background is part of a rocket testing station (from the second world war, now disused). 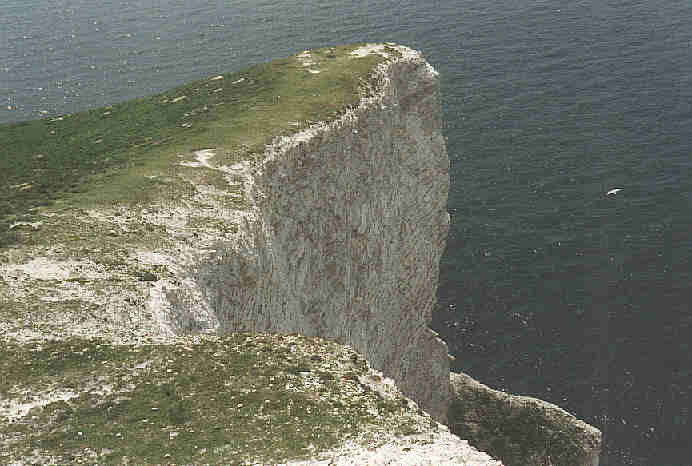 The area is owned by the National Trust. Southern Vectis buses serve the area in Summer - but the trip is not for the fainthearted! 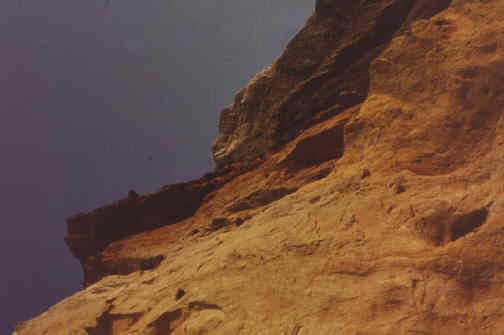 The bus climbs the cliff edge zig-zag road to the delight of those passengers who have not shut their eyes (see my bus section). The downs above Freshwater were named after the famous writer who has strong associations with the area. The views are fantastic, but only for the sure-footed! 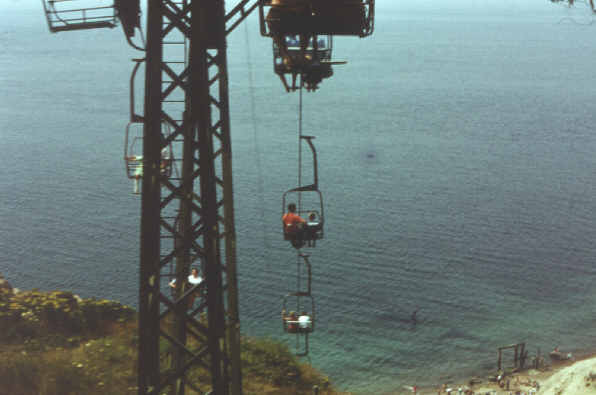 This chair lift can save you a long climb down to the bay - and an even longer climb back! Sharp eyed readers may just make out that the lighthouse was in use in this 1979 view (there is an extra bit on the lighthouse from the more recent view above). 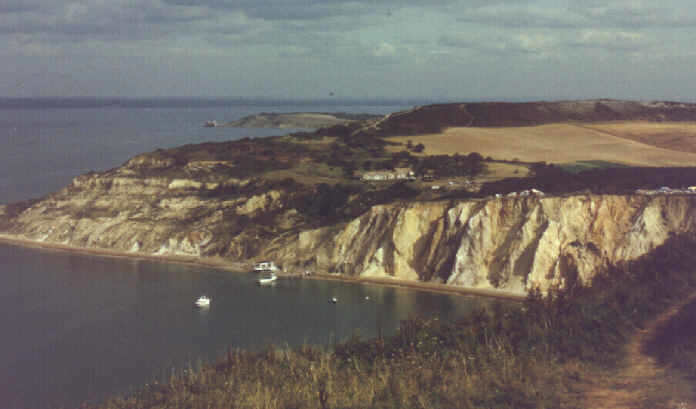 A view from the opposite cliff in 1991.